Ethiopia is the “Land of Thirteen Months”. It’s a magical country with ancient and spiritual roots, rich in significant religious history and that has a fabulous story to tell. The beauty of wild mountains is only surpassed by the awe-inspiring religious architecture that draws visitors to this amazing country. It’s where legends of the Ark of the Covenant live side by side and in harmony with ancient Islamic mosques. From thundering waterfalls to its vibrant and modern capital city, Addis Ababa, Ethiopia is a place you have to see to believe. Here are 6 incredible places you have to visit in Ethiopia. 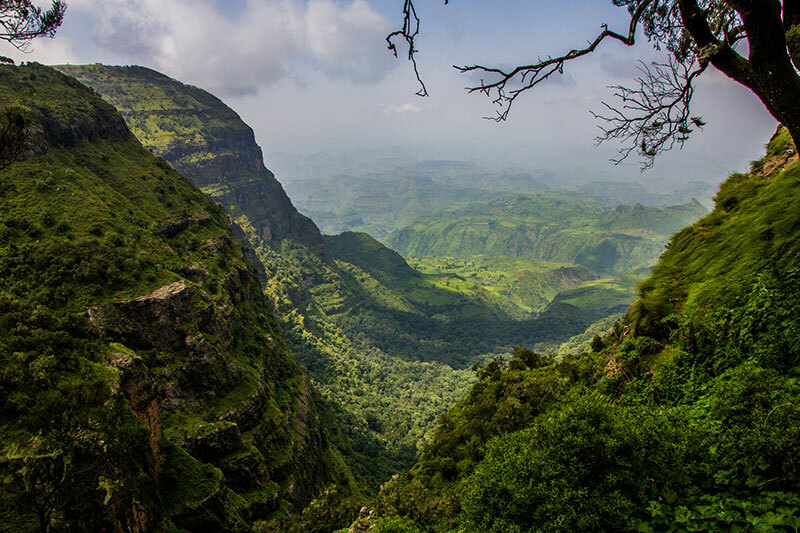 Nestled in the highlands of northern Ethiopia you will find the spectacular Simien Mountains. This jewel of an area makes you feel lost in time with its remarkable rock-hewn churches and medieval castles. These majestic mountains seemed to have been hand-shaped by nature and are home to a rich cultural heritage. They now draw people here to learn about ancient religious sites and to witness the jagged peaks and seemingly endless vistas. 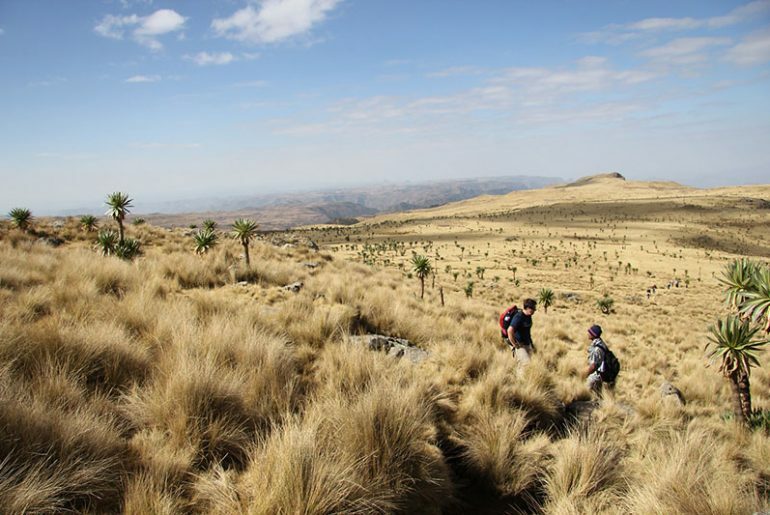 The Simien Mountains are also home to a unique but endangered ecosystem, complete with rare and unusual animals like the Gelada baboon, Walia ibex and Ethiopian wolf. Near the small town of Lalibela, there are eleven medieval churches, which are all carved out of massive slabs of volcanic rock! 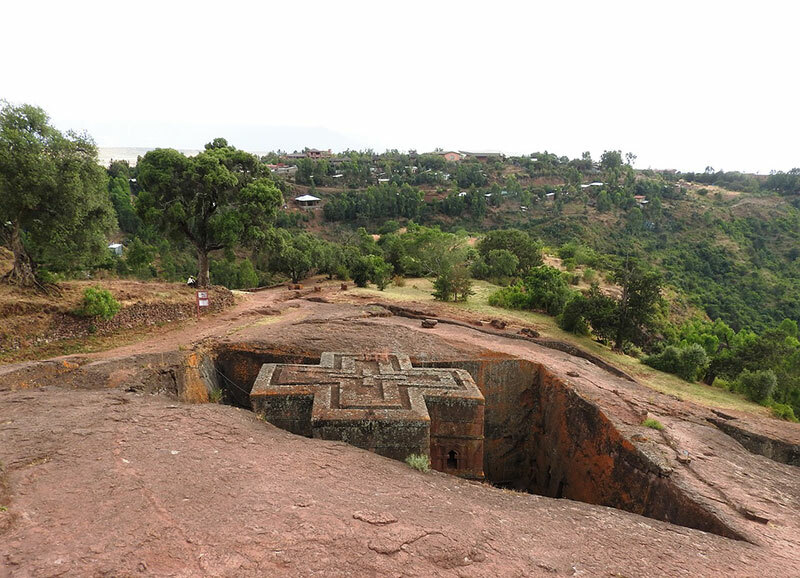 The churches were built in the 12th-century under the direction of King Lalibela. He had a vision of a “New Jerusalem” for Christians who were prevented from making the pilgrimage to the Holy Land because of Muslim conquests across the region. Today it is still a popular pilgrimage site for Coptic Christians. The most fascinating of the ancient churches is the House of Saint George, or Biete Ghiorgis. This church is famed for its cross-shaped design and network of trenches and ceremonial passages which connect it to the other churches. This UNESCO World Heritage Site is truly one of Ethiopia’s incredible places to visit and will leave you in awe of the faith that can move mountains. Harar is a city in Northeast Ethiopia near the border with Somalia and a great seat of Islamic culture. Its walled city dubbed “Africa’s Mecca,” is home to more than 100 mosques and is also considered the “fourth holy city of Islam”. Harar was built in the 16th century to protect the city against religious invaders. As you stroll down the city’s cobbled and narrow alleys, you will be greeted by friendly Harari women dressed in brightly coloured dresses. It won’t take long to be told about the legendary “hyena man of Harar”. At the Fallana Gate the “hyena man’ will call out to the hyenas by name in Harari. They come up, one-by-one and take a piece of meat from a stick he has placed in his mouth. If you have the nerve, you can also take a turn hand-feeding these wildly beautiful, but dangerous African predators. Nestled in the highlands of Northern Ethiopia, you’ll find the fabled city of Gondar. Once you have reached Ras Dashen, the highest peak in the spectacular Simien Mountains, you will be able to marvel at Gondar, the “Camelot of Africa”. 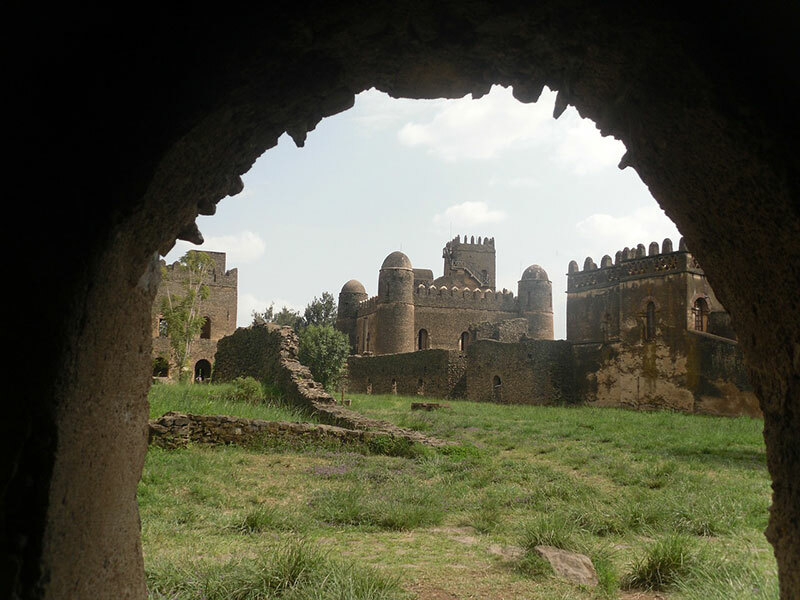 The castle was the medieval home to Ethiopian Emperors and Princesses who led the country for nearly 1000 years. Once you have reached the main site, check out the Royal Enclosure which is home to the main attractions in the city. Another site not to miss is Fasiladas’ Bath. This is where the annual Timkat celebration takes place. The water is blessed by the bishop and splashed on the crowd of pilgrims that come to renew their faith and to take part in the ceremony that replicates Christ’s baptism in the Jordan River. Whilst here don’t forget to visit Debre Berhan Selassie, which is considered to be one of the most beautiful churches in all of Ethiopia. Close to the city of Bahir Dar you will find the incredible Blue Nile Falls. The locals call it Tis- Isat Falls (translated as “Smoke of Fire”) and it is the most impressive sight on either the Blue or White Nile. The falls stretch a quarter-mile wide during the flood season and drops into a gorge of more than 150 feet deep. You can see how the falls got their name because it throws up a never-ending mist that drenches sightseers from half a mile away. The rainbows produced are awe-inspiring and creates an Eden-like perennial rainforest of lush verdant foliage. You will not be alone in this paradise; the forest is home to a wide variety of monkeys and exotically coloured birds. Addis Ababa is the fourth largest city in Africa and is the diplomatic home to the African Union. 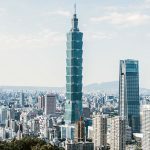 This vibrant city sits atop the Entoto Mountains and has both an African and international feel. Addis has a mystical aura that seems to act like a portal to the past. It’s a place where you can explore the beautiful orthodox churches and museums. Make sure to check out the National Museum where you will find the 2.3 million-year-old fossilized hominid “Lucy”. Also visit the Merkato, which is the largest open-air market in Africa. Here you’ll have your senses awakened with the smell of pungent spices and roasting coffee. At night, the city comes alive with a vibrant nightlife with restaurants serving exotic Ethiopian cuisine. Day trips from Addis should include the Entoto Mountains, the crater lakes at Debre Zeyit and the hot springs at Awash National Park. Pamper yourself by staying at the Sheraton Addis where you will be treated like royalty in one of Africa’s few 5-star resorts. 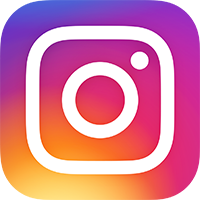 Hey Buddy!, I found this information for you: "6 Incredible Places to Visit in Ethiopia". 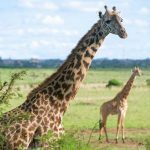 Here is the website link: https://www.travelanddestinations.com/incredible-places-to-visit-in-ethiopia/. Thank you.